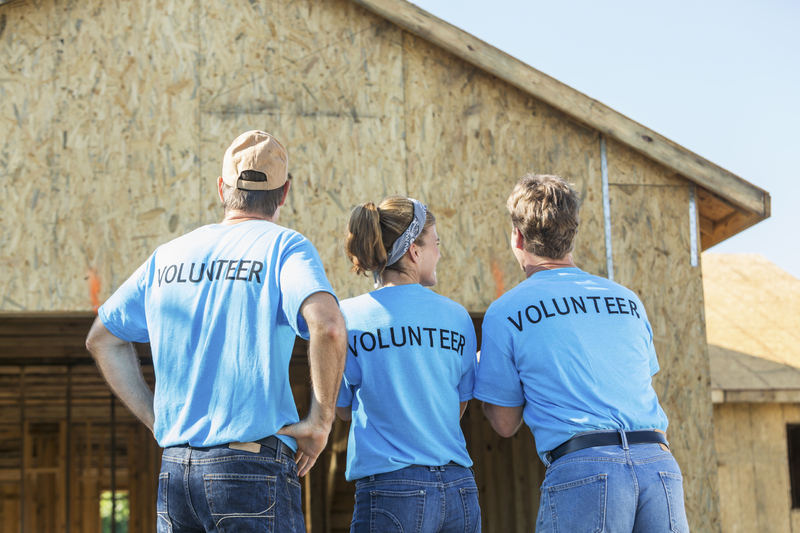 What Is Authentic Community Service Anyway? It's a self-serving hyperbole: Give back to get in. Students believe they have to do "community service" to get into college. In the seven weeks since the Harvard Graduate School of Education released "Turning the Tide" that belief has become stronger than ever. The report recommends colleges place high value on community service that is "authentically chosen" by the student. This messaging relies more on feelings than specifics. It has already led to confusion and misinterpretation. Students and parents have entered "Shark Tank" mode where they feel they need to develop a unique idea, show measurable results and prepare to market it to the colleges they are applying to. When speaking with high school students about their college applications, I have never put "community service" and "college admissions" in the same sentence. "Service" is very personal. Anytime someone shares what they do to give back, I squirm a bit hearing how unnatural it is for them to admit it. Students often remark to me that sharing this on their college applications feels even more unnatural. To have to quantify doing something that is supposed to be "authentic" in 150 characters or less on the Common App can feel more self-serving than anything else. But since "Turning the Tide" came out, students feel even more compelled to make deliberate choices when it comes to doing community service and portraying it in their applications. Students tell me they need to start tutoring inner-city grade school kids. Parents tell me they plan to have their children spend their summer "giving back." Don't get me wrong. Giving back is important and is a win-win for the givers and the receivers. However, associating it with admission to elite colleges is problematic. As with all aspects of the college application, students and parents will want to ostensibly put the best foot forward. This new attention to service will make it hard to know who is doing it for altruistic reasons versus who is doing it to fulfill a new requirement. Service becomes an authentically inauthentic charade instead of a genuine facet of the application. When students look within themselves, many will find selflessness in what they already do every day. Students need to stay true to the real and seemingly mundane acts of service in their lives. Think of it as the difference between a humble deed and an extraordinary exploit. The uncelebrated deeds are what create a powerful impact both in real time and when it comes to application time. Exploits can be exaggerations of a deed, true or untrue, and become the fodder for college applications. One of my students at the school where I work is the embodiment of selflessness, yet she doesn't think of herself that way. The service she is doing is both life-saving and transformative. Each day after school instead of attending club meetings, sports practice or play rehearsal, she heads straight home. Both of her parents work the nightshift and they count on her to be the full-time caregiver for her 3 younger siblings. My student feeds them, helps them with homework and puts them to bed every night during the week. Students with major family responsibilities don't always get a lot of attention. The fact is they are often embarrassed to share this side of who they are. They don't think caring for younger siblings or older relatives is noteworthy. But it is. Colleges want to know this and they need to know this to fully understand the applicant. In many ways, the most authentic service is not an aberration or an exaggerated accomplishment, but an extension of who the student really is at their core. It is up to the colleges, especially the dozens who have endorsed "Turning the Tide," to reward those deeds over the exploits. When I told my student that her hours of childcare and housework each night should be documented on her "extracurricular activities" list on her college applications, she looked at me incredulously. "Really?" Yes, really. In the end, listing each thing she does for her family will not only validate what's she doing, but it will contextualize why she gets more B's than A's and why she doesn't have the luxury of taking a test prep course to improve her test scores. She's too busy changing diapers and acting like a grown-up to a family who needs her. Allowing our children to celebrate the "service" they already perform empowers them to be more authentic in their application, and in all aspects of their young lives. Students need to redefine "community service" in their own terms. A student's selfless acts for their families and the nameless causes they "serve" are genuine because these efforts are instinctual and pure. As students, families and colleges prepare to navigate the unknown territory of authentic community service, my hope is that altruism and understanding win the day. Acceptance of one's own circumstances oftentimes leads to the truest sense of service in the end.